China Defiant Over Liu Xiaobo After Wife's Emotional Plea - kaycee Weezy! China has refused to back down over Liu Xiaobo, the Nobel Peace Prize winner jailed by Beijing, a day after his wife spoke out from under house arrest for the first time in two years in an emotional interview. Mr Liu was branded a convicted criminal by a Chinese Foreign Ministry spokesman at a news conference in Stockholm yesterday, held to laud another Chinese writer who is also set to receive a Nobel in a few days time. 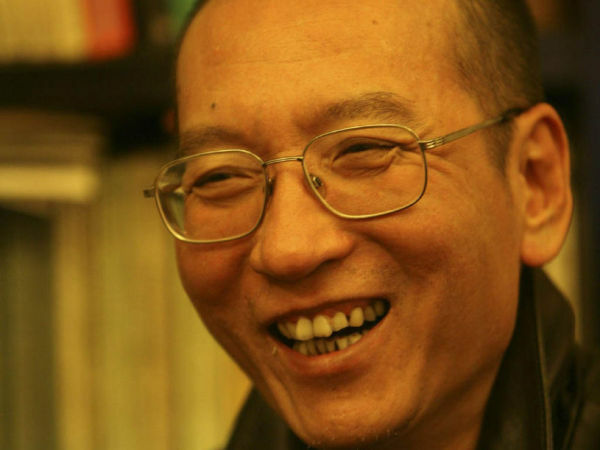 Mo Yan, this year's winner of the prize for literature and who is vice president of the Communist Party-backed writers' association, evaded questions about his countryman Mr Liu at the conference. Mr Mo asked journalists not to press him on the topic, although he has previously said he hopes Mr Liu will be freed soon. Asked whether the Chinese government instructed Mr Mo not to talk about Mr Liu, Foreign Ministry spokesman Hong Lei said: "I want to point out that Liu Xiaobo was sentenced to imprisonment by China's judicial authorities for violating laws." When asked at a daily news briefing, Mr Hong said he did not know about the fate of Liu Xia, the wife of Liu Xiaobo, who has been held under house arrest for two years following her husband's Nobel win. "I am not aware of what you mentioned, but I want to point out that the legitimate rights of citizens are protected by the rule of law," he said. China was furious when the Norway-based Nobel committee awarded the peace prize to Mr Liu, who was sentenced to 11 years in prison in 2009 for co-authoring a bold call for ending China's single-party rule and enacting democratic rules. Norway is still suffering from the fall-out, having been the only European country left off a list of countries whose citizens will be allowed to visit Beijing for 72 hours without visas starting on Jan. 1. Mrs Liu has been cut off from the outside world, confined to her fifth-floor apartment in Beijing for two years, but on Wednesday reporters from the Associated Press were able to enter her apartment as her guards apparently stepped out for lunch. In the emotional interview which ensued, a tearful Mrs Liu said she no longer keeps track of the days.